Join us at our Grand Opening Celebration! We are excited to invite you all to join us at our Grand Opening Celebration! It will be on Saturday, March 25th, from 11 am to 2 pm. 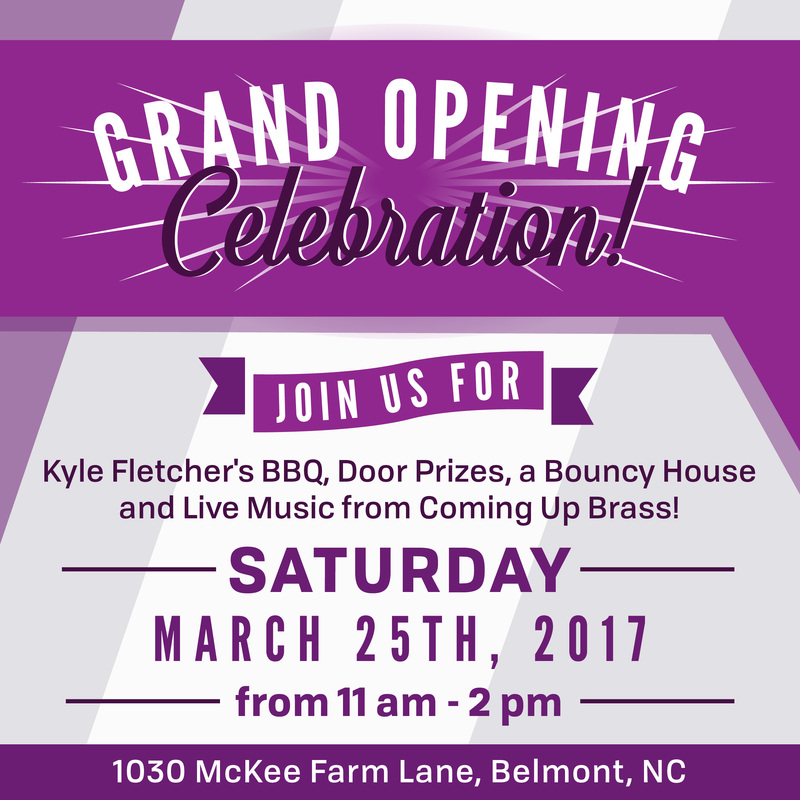 We will have Kyle Fletcher’s BBQ, door prizes, a bouncy house, and live music from Coming Up Brass – it will be a fun event for the whole family! See you then! Our Belmont location opened for business on January 2nd. 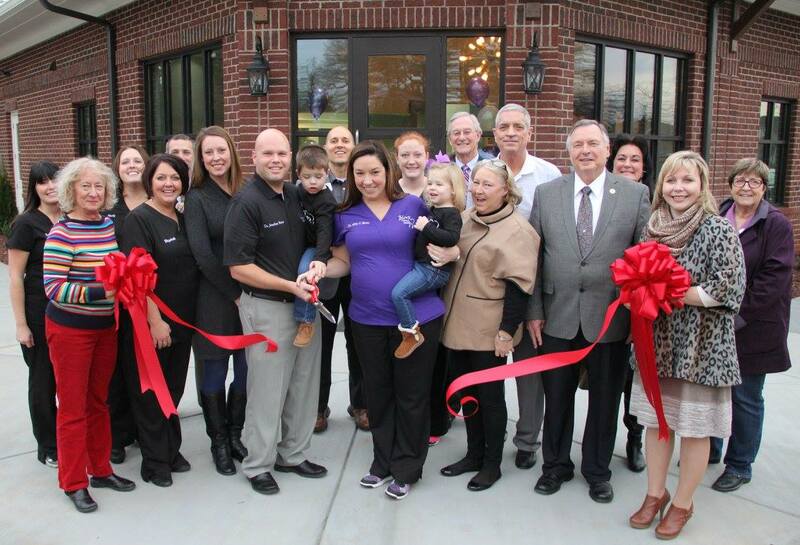 We had our ribbon cutting ceremony on January 5th. 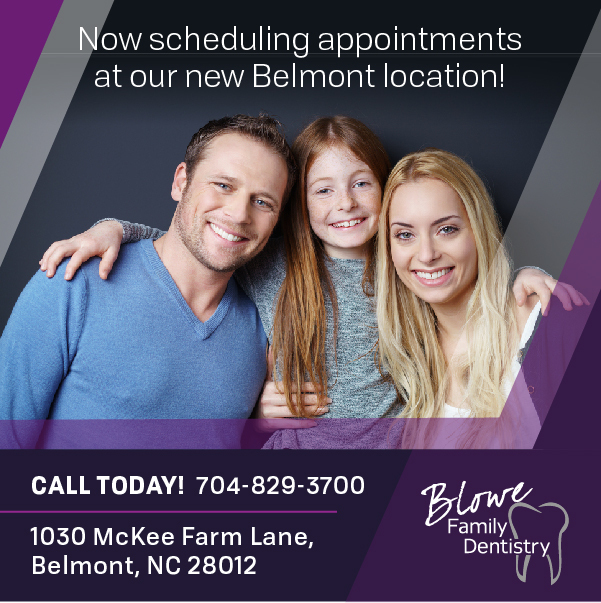 This month has been so exciting for us and we still have appointments available at our new Belmont office! Call 704-829-3700 to schedule yours today! Pictured: Drs. Jonathan and Abby Blowe, holding children Jennings and Juliette. With them are family and staff members and Belmont Mayor Charlie Martin along with Chamber representatives. Holding the ribbon are Belmont City Council member Martha Stowe (left) and Montcross Area Chamber Board member Geanina Neal of CommunityOne Bank in Mount Holly. Belmont Office Opening January 2017! We are happy to announce that our second location in Belmont will be open January 2017 and is taking appointments! Call 704-829-3700 to get your appointment booked! 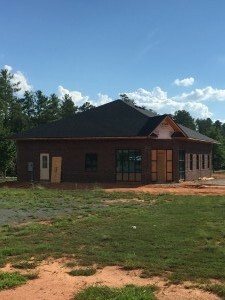 Now that the exterior is almost done on our second location in Belmont, we can focus on work inside. 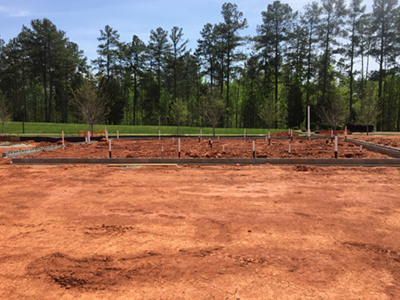 We are looking forward to serving this new community later this year! 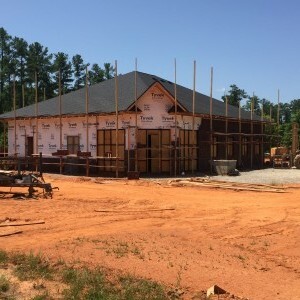 The exterior construction is coming along nicely at our second location in Belmont. The construction at our second location site is going great. Most of the framework is complete, we will be serving the Belmont community in no time! 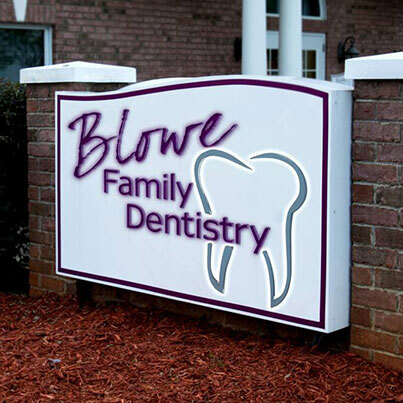 Blowe Family Dentistry recently was a table sponsor a great local event. 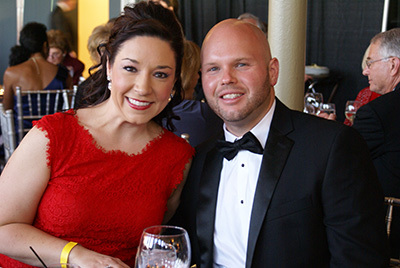 Night of a Thousand Stars, Gaston Hospice’s signature fundraiser, was held on Saturday, April 16, 2016, at the Mount Holly Municipal Complex, 400 East Central Avenue, Mount Holly, NC. The fundraiser supports the services that are provided each day to Gaston Hospice’s patients at the Robin Johnson House. Progress is being made at our second location in Belmont! Today, the concrete slab is getting poured. We are happy to announce that we will be adding a second location in Belmont next year! Dr. Abby Blowe will continue to work in the Mt. Holly office, and her husband, Dr. Jonathan Blowe, will work in the new Belmont office. 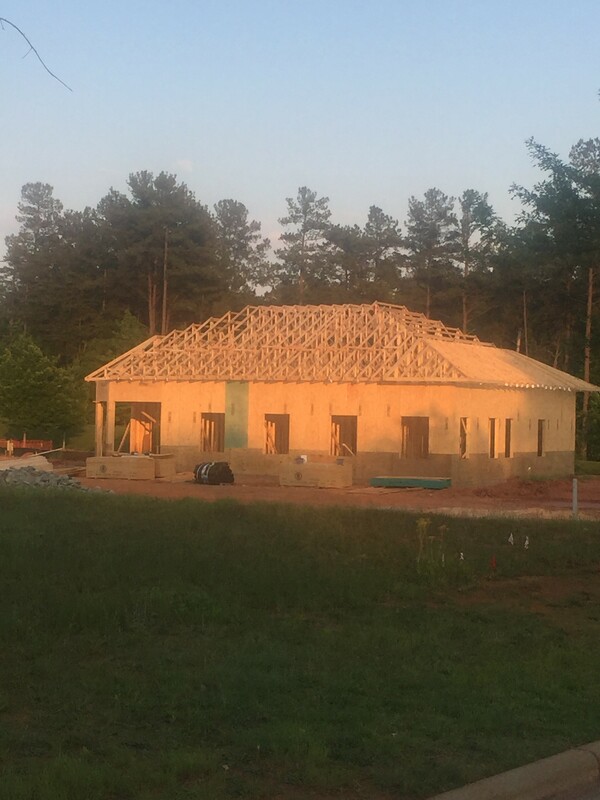 Like us on Facebook to follow the progress of our new location! 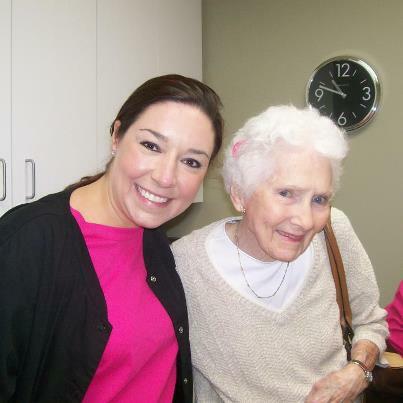 Blowe Family Dentistry Supports Breast Cancer Awareness! October 10 – Blowe Family Dentistry supports Breast Cancer Awareness month! Today all staff members at Blowe Family Dentistry and some patients participated in turning a strand of their hair pink for the month of October in support of “finding a cure.” Next time that you are in the office ask everyone to see their pink hair!